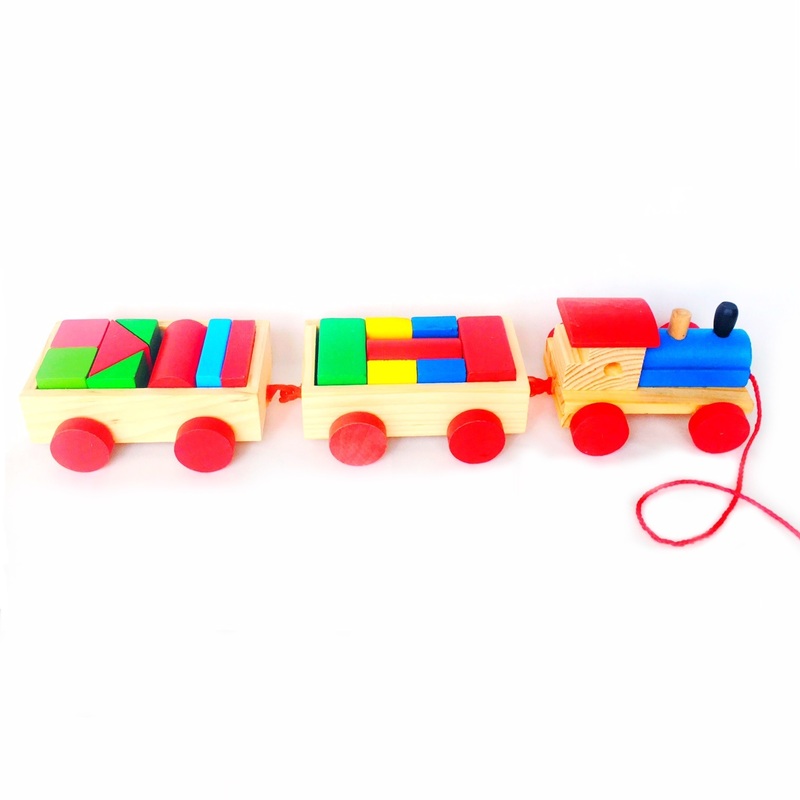 A novel wooden train which comes with different colourful chunky blocks. 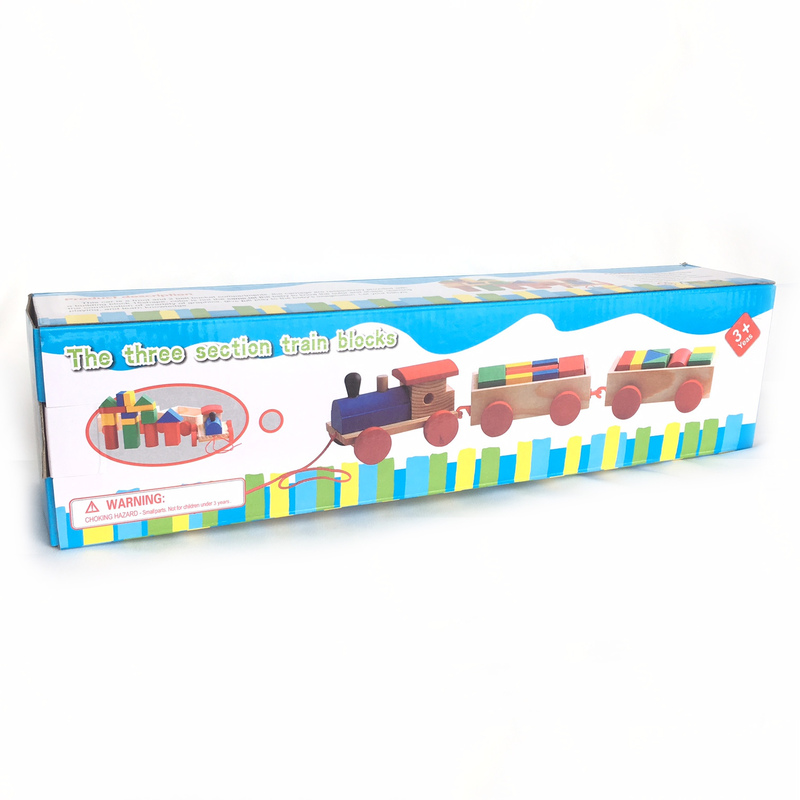 Each block comes in different shapes and sizes. The 3-carriage train is a lovely well-made toy guaranteed to make playtime interesting for young children.